This is the cheesecake version! I love Nanaimo Bars. Aside from good ole chocolate chip cookies, Nanaimo Bars are my favourite! But by the traditional recipe, they’re super high in cornstarch (ew!) and sugar (ahhh!). So I brainstormed a gluten-free, low-carb, sugar-free version of my second favourite cookie recipe! 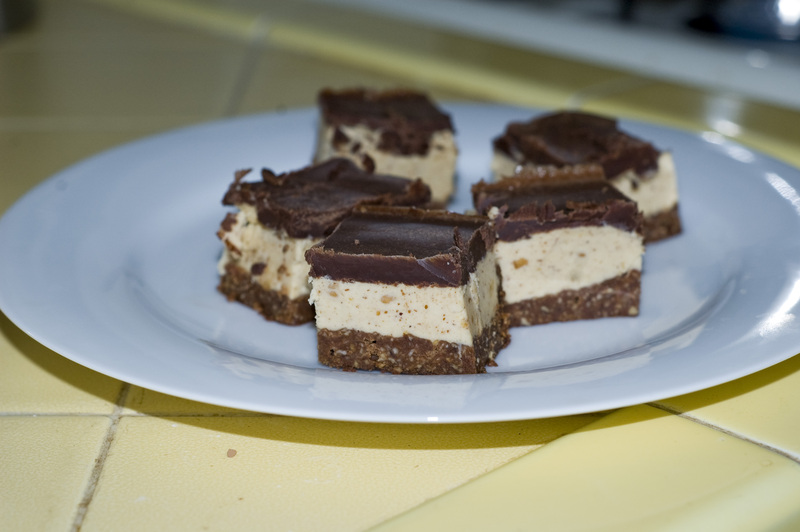 I call them: Primal Nanaimo Bars! And they’re super easy to make! Blitz brazil nuts until a course powder. Add the rest of the ingredients and blend well. Spoon onto a greased (with butter or coconut oil) cookie pan (9×9). Bake for 25 minutes at 350’F. Cool and chill. This is not really a custard; but the original Nanaimo bar custard layer isn’t really a custard either. So go ahead and enjoy! Whip the butter in a food processor. Add the remaining ingredients and blend well. Spoon onto chilled crust layer and return to fridge to chill more. Melt all ingredients together in a saucepan over low heat. Cool slightly. Spoon over well-chilled custard layer. Chill further! When the final layer is hard (about 20 minutes); cut into squares and enjoy! Store in the refrigerator. There you go! These little sugar-free treats are sure to please. Previous Post McNugget of Contradiction? Next Post Good advice for both screenwriters and producers! These look tasty – and as you say appear to be very Primal, even if you added the cream cheese. I came across your blog while doing a search on Primal. Do you eat Paleo/Primal by nature – and if not, what is the connection? Thanks for providing the recipe! I do eat mostly paleo/primal. My husband does when I cook him dinner. But sometimes he adds grains prepared in a way consistent with the Weston Price milieu. I also consume dairy, but mostly raw dairy from happy, pastured cows. Found this via message boards on Mark’s Daily Apple. These look truly delicious, and yes, Primal. 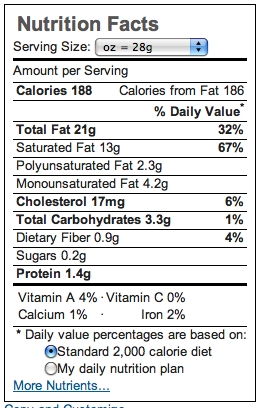 Do you have the nutritional breakdown on these? I came to this recipe by searching Bing. I have to say that this looks yummy. Thanks for taking your time submitting this!